Just last month the president suggested his government should look carefully at comedic 'hit jobs' against Republicans. Trump has been fighting claims for more than two years that his 2016 campaign colluded with agents of the Kremlin to impact the result of the presidential election. The concept of a hopelessly biased political press corps is one argument that buoyed Trump's first candidacy, and which campaign insiders say he will return to repeatedly as he runs in 2020. Oh for crying out loud Donald - grow a thicker skin! 'Question is, how do the Networks get away with these total Republican hit jobs without retribution? How do Limbaugh and FOX News get away with 24/7 sucking up to Trump? The fairness doctrine of the United States Federal Communications Commission (FCC), introduced in 1949, was a policy that required the holders of broadcast licenses both to present controversial issues of public importance and to do so in a manner that wasin the FCC's viewhonest, equitable, and balanced. The FCC eliminated the policy in 1987 and removed the rule that implemented the policy from the Federal Register in August 2011. What Trump should do instead of whine is to try and get that re-instated. It's unclear if so-called "comedy" shows were covered in the Fairness Doctrine. It required broadcasters to devote some of their airtime to discussing controversial matters of public interest, and to air contrasting views regarding those matters. Stations were given wide latitude as to how to provide contrasting views: It could be done through news segments, public affairs shows, or editorials. The doctrine did not require equal time for opposing views but required that contrasting viewpoints be presented. I agree with Trump that the MSM networks are adamantly against him - but his demand is not the right way to go about making the networks more balanced. His constant whining about it simply makes him appear undignified and petty. Trump's objective may be merely to call out the SNL crew and media bias in general and to create a little Twitter shitstorm about it between Left and Right with Big Media caught in the middle. There's good reason to think this is his motivation since he undoubtedly has good lawyers at the WH and DOJ who will tell him that he can't win in court. His objective might also be to set the stage to exclude NBC, for instance, from the WH press pool or to instruct his press secretary to take almost no questions from any NBC reporter or to maybe demote them from the front rows of the press briefing room to the back row, as Tony Snow once did to Helen Thomas (which largely ended her prominence before her career came to an abrupt end over some minor antisemitic comment she made after she was demoted from the WH press pool's front row). A president doesn't have to win in court to score a victory in rallying public opinion or manipulating elements of the libmedia. You believe that his tweeting every inane thought that pops into his head is "fighting"? Twitter is for teenagers and millenials - Trump only makes himself appear childish with these twitterized diatribes. No one over 25 should be on twitter. You libertarians want people to have freedom of speech. But you want to have control over the medium they use to exercise their freedom on speech. It's a personal opinion assclown - I'm not calling for fed.gov to ban anyoune over 25 from twittering. Twitter has single handedly dumbed down the millions of vacuous nitwits who use it. I don't know what your stupidity can be chalked up to however. Trump only makes himself appear childish with these twitterized diatribes. Donald Trump has 52.2 million followers on Twitter. That explains why it made no sense. And the basis of this astonishing conclusion of yours  Is? Well, you spend some time working on it. If you need any help, call on Bucky ot hondope. They are experts in displaying stupidity. Why, stupidity is actualy part of their human nature. But really, I would not spend too much time on it. You ever seen a tweet gramps? But is it effective in rallying his supporters, in intimidating libmedia, in changing the debate over him to one about how libmedia treats him? Trump may be more accurately assessing his own political strategy than you are. I don't disagree with you. I just think Trump is more media-savvy than he is given credit for. No doubt, a lot of his Tweeting is just inane or embarrassing to hear. But just because you and I are couple of conventional GOP snobs doesn't mean that it isn't effective media strategy for Trump with indy voters or others that Trump needs to win in 2020. Keep in mind that hateful PR slogan that is notorious in NYC: there is no such thing as bad press. Trump exploits this marketing principle like a master of public relations. He misses as much as he hits but his wins score much higher with Trump's key demographics than any of his misses. So such a strategy could pay off for him. After all, how many Republicans or conservative-leaning Republicans will decide to vote for a Dem in 2020 because of yet another shitstorm started by the Tweeter-In-Chief? Just about zero. Trump is crazy like a fox on media strategy. It's how he got where he is. Trump is crazy like a fox on media strategy. I've got two words to say about that, President Beto. Even the Dims are dishing out on Beto in a major way. He'll have big problems. As with many of these contests, you have to ask if what they are really running for is a shot at being the VP candidate. For candidates young enough, that can give them a shot later at running for prez. Like GWB running as Reagan's running mate or Gore coming within a hair's breadth of winning in 2000 or Hitlery almost winning in 2016. VP has often been a path to the nomination in the modern era, even though GHW Bush was the first VP elected later as prez in about 150 years. But since then, VP has been a good stepping stone to getting a presidential nomination. Others who may be running for VP are figures like Corey Booker (a good running mate for Warren or Sanders or Beto). Kamala Harris would like the top billing but she might also consider a VP slot if offered. The same can be said for a number of these Dem VP candidates, some from states like Florida or Ohio or WI/MI/MN (Klobuchar, etc.). But Beto's stock has really taken a nosedive. That stuff he wrote about running down children, his drunk driving record, his status as a white man of extreme privilege (his father left him a $5 million apartment complex, his mother gave him a $9 million shopping center, and he married the daughter of a Dem billionaire whose wealth is estimated at $20 billion), these are not so appealing to the Dems of 2018 (and 2020). Not the guy they are looking for. At least Biden and Sanders are not part of the 1% of the 1% which Beto clearly is. And no matter how far Left Beto might go politically, his bio weighs against him with many Dems. Beto also lacks the easy charismatic appeal to crowds that Xlinton and 0bama had. Beto makes more sense as floating himself as a VP candidate for the eventual 2020 Dem nominee than getting the nomination himself in 2020. Donald was born with a silver spoon in his mouth too, and is also at least as obnoxious as Beto. He's got a good shot, I tell ya! The biggest ahole wins. It's the current trend in politics. And I believe it is an accurate one. Why cant you answer a simple question? And why do you try to answer a question with a question, you simpleton? The GOP doesn't hate the rich the way the Dems do. Look at their trickle-down tax cuts over the years. Dems always against, GOPs always for. So The Donald as GOP nominee is not at all comparable to Beto as the 2020 Dem nominee. BTW, Beto's silver spoon may be bigger than Trump's. He married the only daughter of a real estate developer whose wealth was estimated by Forbes as upward of $20 billion. More recent estimates say that Beto's daddy-in-law only managed a $20 billion real estate portfolio and that his real worth was only $500 million in 2018 (Wikipedia). What is Donald really worth, his claimed $10 billion? At most? Maybe only half that in reality. Or maybe a lot less if he actually tried to liquidate into cash holdings. No way the Dems embrace a white man of such privilege in the era of AOC and Sanders and the rest of the hard Left. They'll pick him to pieces, like the media is already starting to do. He's a very rich weirdo from a very privileged background and so is his very wealthy wife. He would be wealthier than, say, John Lurch Kerry was as Dem nominee in 2004. Or McCain's wife, Cindy, who was worth over $200 million when he was GOP nominee in 2008. An article in a recent issue of the CITE Journal reveals some surprising findings on how teachers are really using Twitter in education. The article, called Participatory Learning Through Social Media: How and Why Social Studies Educators Use Twitter, analyzed Twitter as a means of participatory learning, or a way of actively engaging with communities. Through a Twitter-distributed survey of 303 social studies educators from diverse schools and backgrounds, authors Daniel G. Krutka of Texas Womans University and Jeffrey P. Carpenter of Elon University examined how the teachers were using the social media and microblogging platform for professional development (PD), communication, and class activities. The survey included open-ended questions such as, Please explain what aspects of Twitter you find most valuable, and whyabout half the participants responded to this question in particular. About 80 percent of the educators reported using Twitter multiple times a day: Its user-friendly, efficient, accessible, and helps minimize isolation. So how did educators report using Twitter in education? An overwhelming majority (96 percent) use it for resource sharing and acquiring, collaboration (84 percent), networking (77 percent), and Twitter chats such as #edchat and #sschat (74 percent). In other words, for professional development. From there, the numbers get interesting: Only 24 percent reported using it to communicate with students and 16 percent for communicating with parents. About 22 percent said they look to Twitter for emotional support, and 20 percent reported using it for in-class activitieseven less, at 18 percent, for out-of- class activities. There remainder of this story can be found here. Many regard Twitter as quite a useless social media sharing portal. Some have this negative opinion, mainly because of the fact Twitter allows you to tweet or post only 140 characters in length. This length equals the text of a regular SMS, and for some this is simply not enough. However, Twitter proves to be an extremely helpful little educational tool. By using Twitter in education, you can post only a few short sentences, but that is exactly enough to transmit the essence of your message. they all use Twitter. So how can such a tool really prove helpful in the educational field? 50 Of The Best Education Accounts On Twitter. It was so stupid before Trump came along that even his tweets couldn't drag Twitter any lower than it already was. You can't go lower once you're already scraping the bottom of the barrel. And Twitter had gotten to that state well before Trump showed up as a candidate. How Twitter Can Be Used as a Powerful Educational Tool. Using Twitter for Professional Development. If it's so great, why won't the top Silicon Valley wizards allow their children on social media? They make them wait until 16 or older and still disapprove of it. The social media tycoons don't allow their own kids to participate on their own social media platforms. Those kids may be worth tens of millions due to social media but that doesn't mean their parents even intend to allow them to have Facebook/Twitter accounts. And not much computer use until they're at least in high school. And they generally educate them without tablets or smart phones at home. A lot of their kids only have basic flip phones, go to rigorously academic schools or are tutored with a classical liberal education curriculum. Moral of the story: if you want to be a great educator, focus on the basics. Not the gadgets. Many regard Twitter as quite a useless social media sharing portal. Some have this negative opinion, mainly because of the fact Twitter allows you to tweet or post only 140 characters in length. This length equals the text of a regular SMS, and for some this is simply not enough. Wiki: "Tweets were originally restricted to 140 characters, but on November 7, 2017, this limit was doubled for all languages except Chinese, Japanese, and Korean." So, 280 characters, not 140. And you can use short URLs to embed links, video, audio, pix, embedded documents like Scribd or PDFs. You can pack a lot into 280 characters with all that stuff. Ah, someone gets it. While the hordes are whining about PDJT, he is busy yanking their chains. I notice that Trump has dropped to his lowest disapproval number yet. And polling is steady that the whole Russian collusion scam was nothing but a witchhunt to target Trump. This is why Pelosi feigns her disapproval of attempts to impeach him, not because she doesn't want to impeach. So Trump seems to handle his own PR pretty damned well. It actually makes no sense to me but I'm not expert at manipulating the media like Trump is. 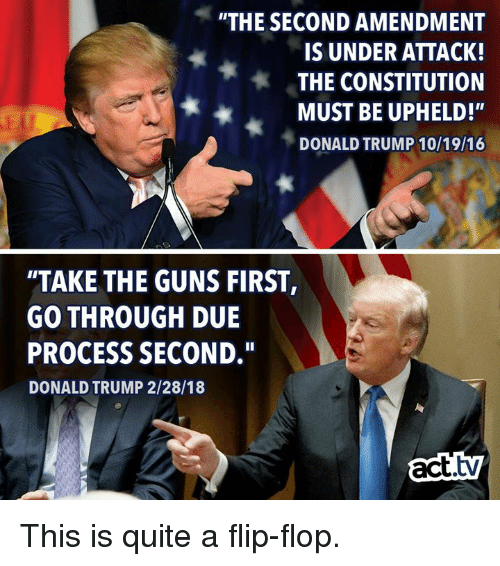 And he is always on offense. In 2020, Trump will be able to campaign as the most conservative president in at least 96 years. And it will no doubt be true. In terms of rolling back the encroaching Big Gov, even Reagan was an amateur compared to Trump. Trump really has delivered all he promised and much more.